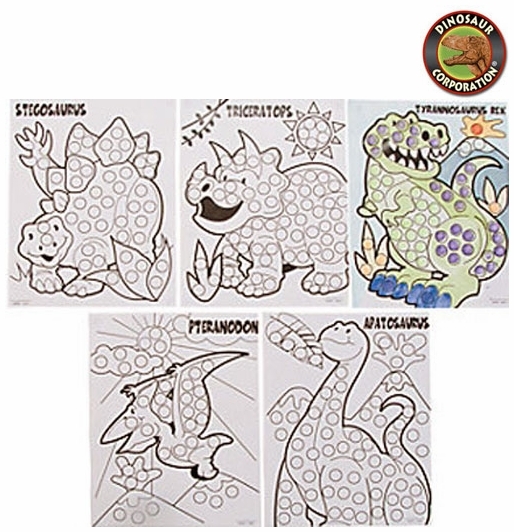 Kids will love these dinosaur dot marker sheets! Create a dino fun spotted scene with dot markers for kids' art projects sure to go down in prehistoric times. Add to your prehistoric studies for an interactive learning experience. Paper.